As I mentioned in the previous post, we have a cruise coming up shortly and so on this Saturday evening in early April the four couples who will be on the Allure of the Seas met for dinner at Cucina Forte in South Philly. As usual, parking in the area was at a premium and it’s no small accomplishment to finally secure a legal spot within walking distance of the restaurant. Inside the restaurant, we looked over our menus while our server, Vinnie, (I know, how would a South Philly waiter ever have a name like Vinnie) recited some of the many special appetizers and entrees for the evening. I had looked at the menu online earlier in the day and was already pretty damn sure I knew what I was going to be having for my starter. Before I get to the food though, I want to talk about the wine. 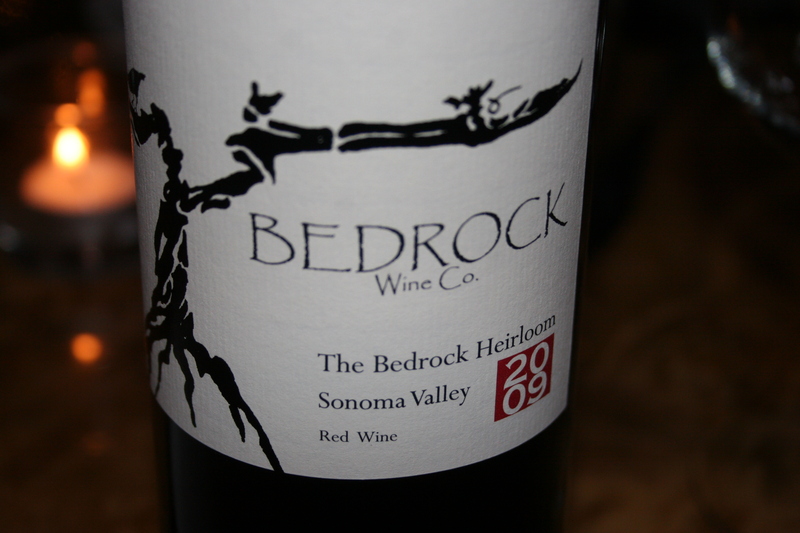 I have been anxiously awaiting the right time to open my first 2008 Bedrock Wine Co., The Bedrock Heirloom, Sonoma Vally. This interesting blend by Morgan Twain-Pederson is quickly becoming a cult classic that distinguishes itself from the other cult wines by being eminently affordable. The Bedrock Heirloom is made from 120 year old vines, some of the oldest in California and it’s spicy, full of flavor fruit has great structure and balance and drinks well now and will be even better with more time in the bottle. Just a yummy wine but only 228 cases made and it’s all gone now. Maria’s Dream Soup. 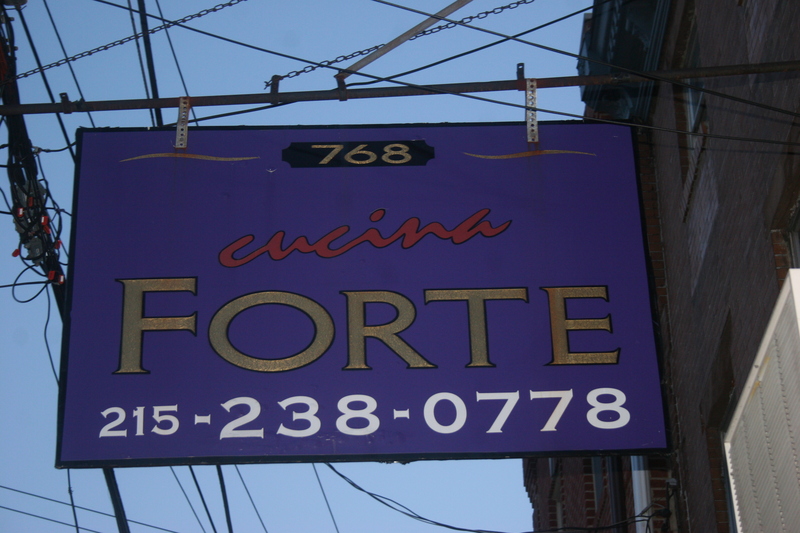 Maria is Maria Forte, Chef/Owner of Cucina Forte. 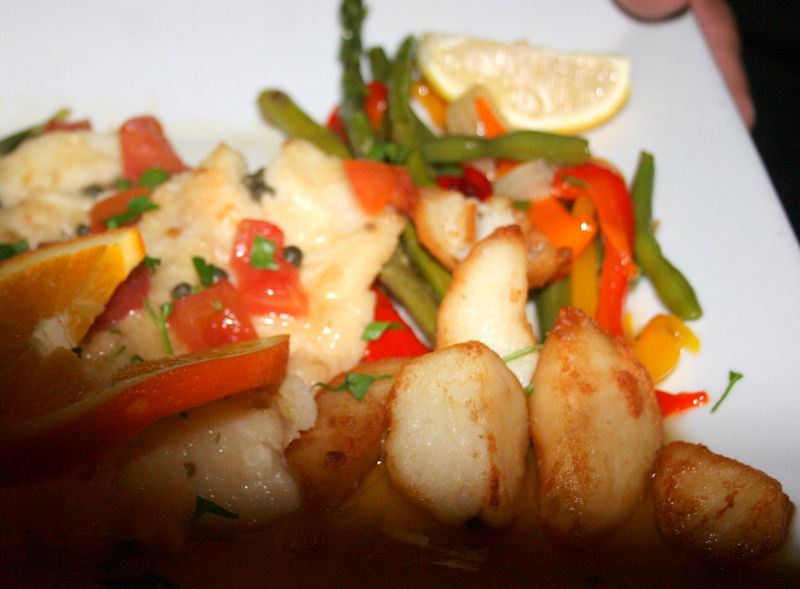 I spoke with her on the phone when making our reservation and I told her about my blog. She sounded genuinely excited that we were coming but unfortunately, she had a death in the family and was back in Italy on this Saturday evening. Very sorry for your loss, Maria. 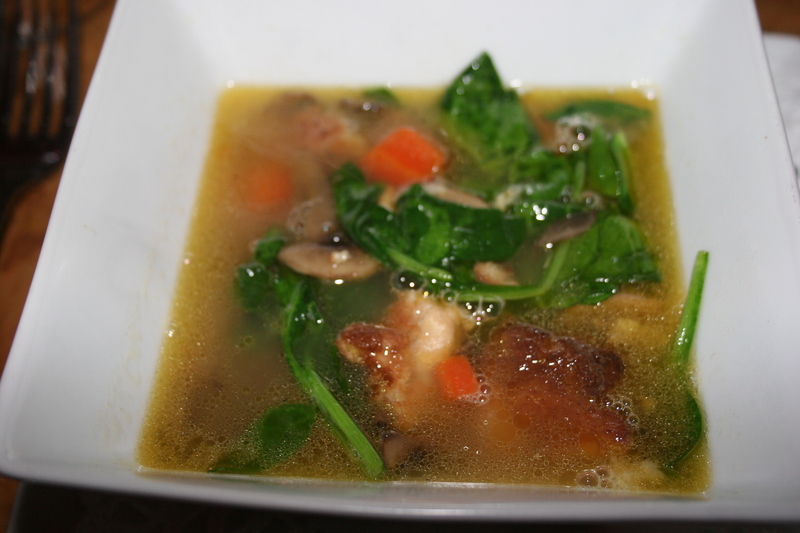 Her Dream Soup was created with love for her late husband and features grilled chicken, sun-dried tomatoes, wild mushrooms (I took them out), broccoli rabe, home-made bread cubes dipped in a light egg batter and all served in a chicken broth. I thought it was great. Kathy thought it was just OK, but I don’t think she sampled enough of mine. 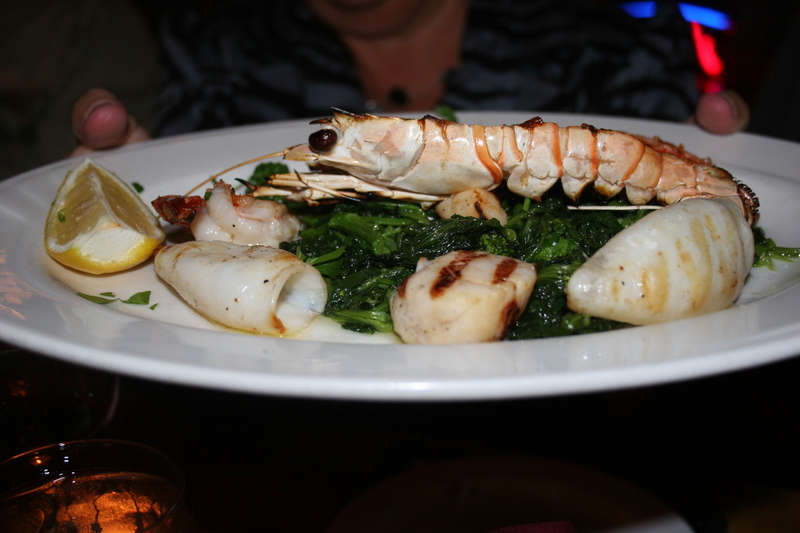 Some had the mussels, others split a seafood appetizers with grilled shrimp, scallops, calamari and lagostinos over broccoli rabe. 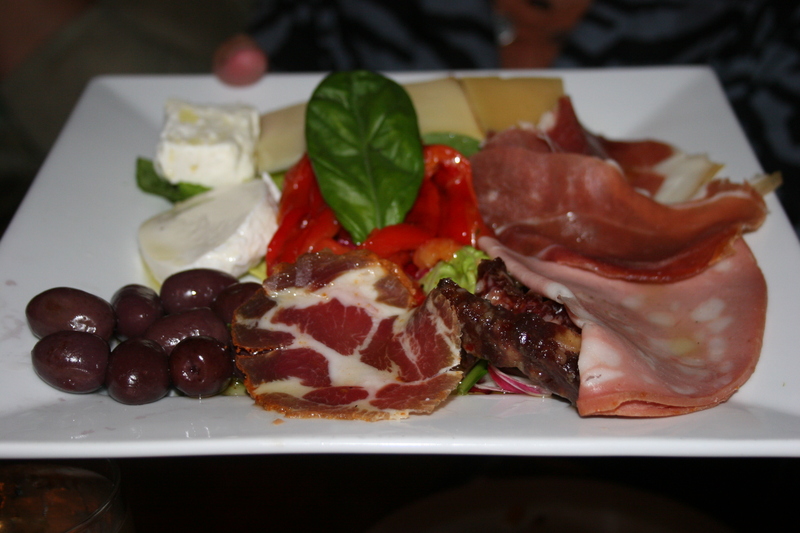 There was also an antipasto consisting of roasted peppers, olives and assorted premium meats and cheeses. All of these were tasty and a great way to start dinner. 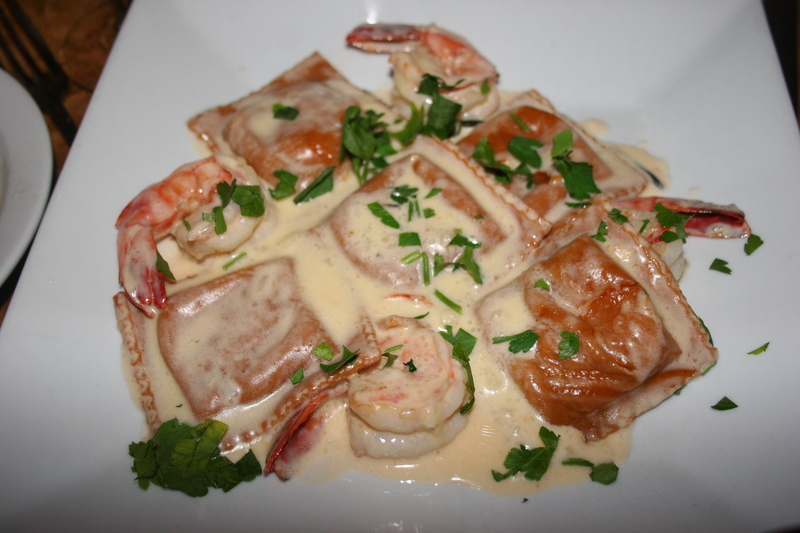 For my entree I went with the Lobster Ravioli, in a cream sauce with four nice-sized shrimp circling the dish. 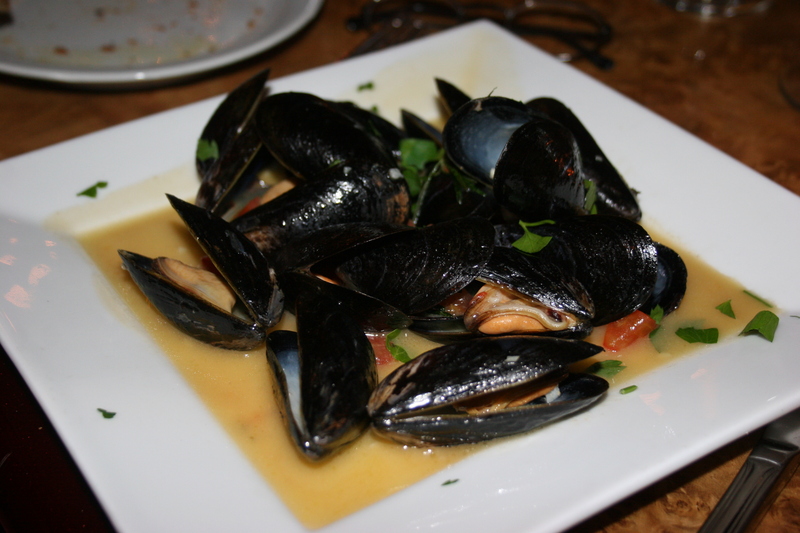 I thought the dish was very nice without being overly filling as these dishes can sometimes be. 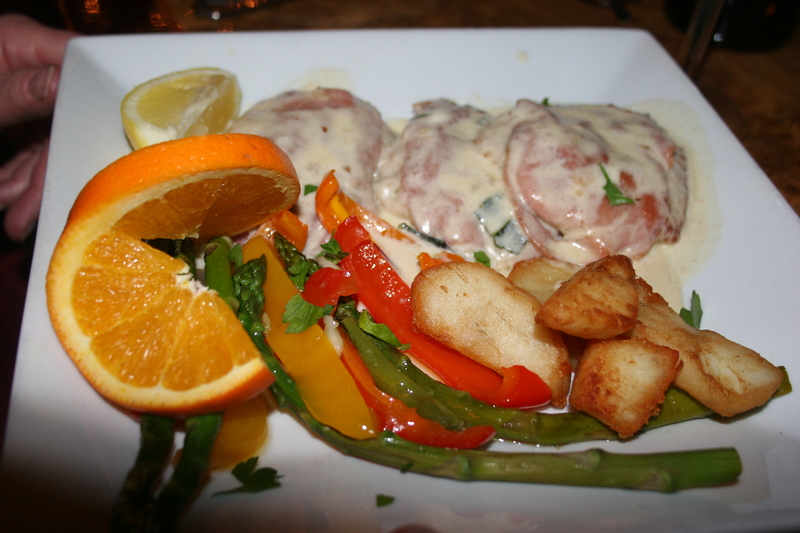 Tom had the Chilean Sea Bass served in a white wine sauce with tomatoes and capers while Kathy ordered the Veal Saltimbocca, veal medallions with prosciutto sauteed in a wine and sage cream sauce served with potatoes and asparagus spears. She thought the veal was nicely prepared but could have used additional flavoring. 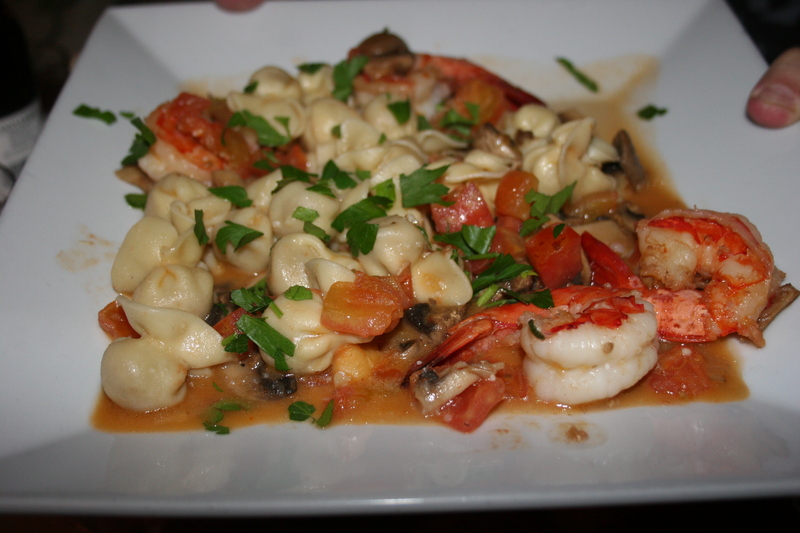 Joe and Carol both ordered one of the specials, the Sacletti, little purse shaped pastas filled with fontina cheese and prosciutto and served with tomatoes, mushrooms and shrimp in an olive and garlic sauce. 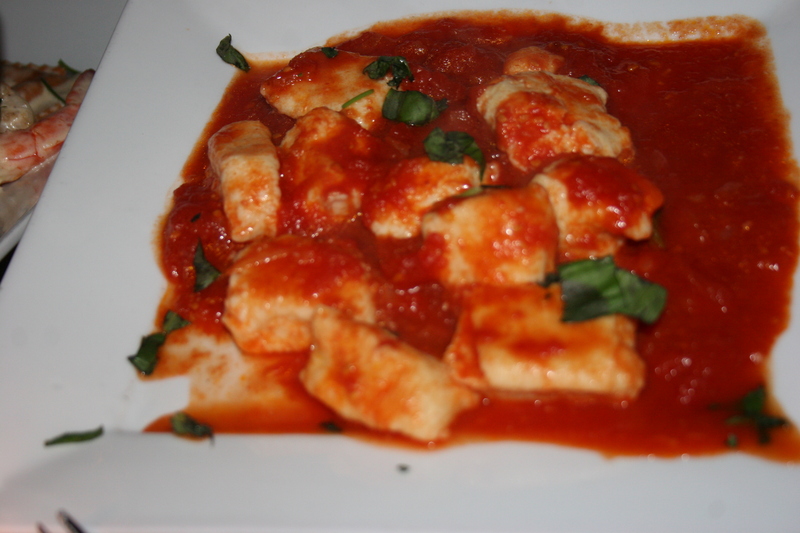 Tom had a side order of the house-made gnocchi and I managed to taste a few of these tiny pasta creations and I thought they were very good. We decided to skip dessert went back to one of the couples house to discuss our upcoming trip. 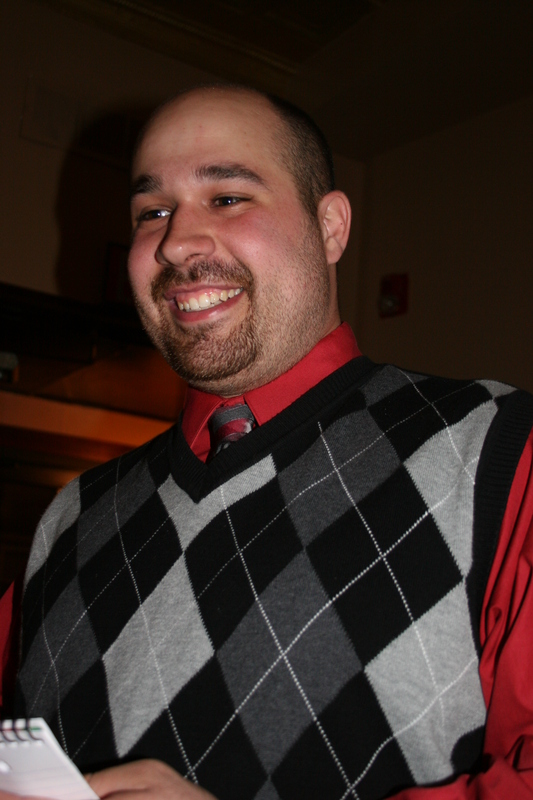 We thought dinner at Cucina Forte was a very nice event.